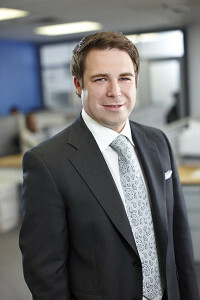 We recently had a chance to visit with APG Displays CEO David Weatherhead about video wall technology for broadcast. The discussion hit on many key issues and topics often raised in the sales process, such as long-term viability for video walls, budget considerations, factors one should consider when purchasing and differences in manufactures. 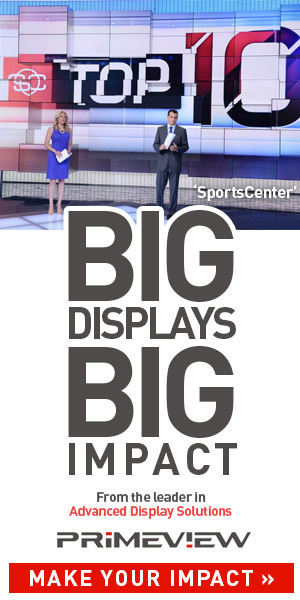 What are the top factors for broadcasters to consider when looking at video wall technology? If a broadcaster is looking to invest in video wall technology, the top factors to consider are budget, production style/on camera “look”, and product lifespan. Budget is first and foremost an essential consideration, as the price of video wall displays vary significantly. There are many LED video walls that are available, and broadcasters have the ability to scale the size of the video wall to fit within a budget. In the past, seamless LCD video walls have been popular in broadcast applications. They are now listed at a much lower price than even a few years ago. But there are substantial pitfalls, like poor image uniformity over the video wall’s life- which is exaggerated at the color temperatures broadcasters prefer to use. Additionally, with LCD video walls, you can see the display’s black-bezels on camera which can be distracting for viewers. If budget allows, I strongly recommend that broadcasters select an LED display, as many of the common issues with LCD walls are eliminated and the broadcaster will get a longer life out of the product. 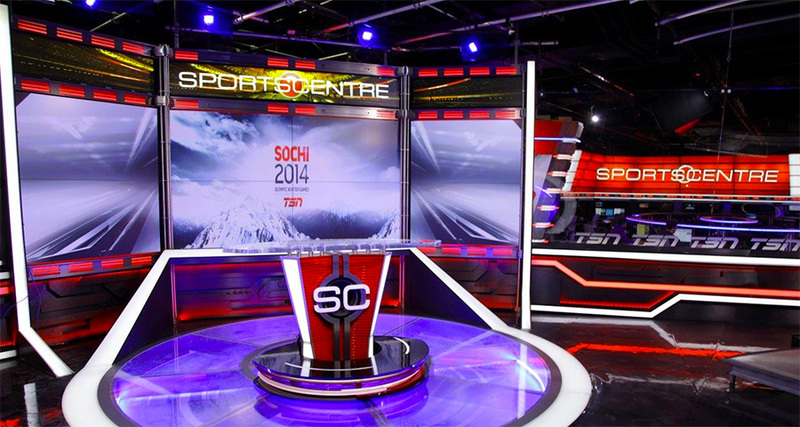 Production style is another huge factor when deciding on which video wall to use. The more flexible and free-flowing the production style, the greater the need for a smaller pixel-pitch LED display. For example, if you are shooting the video wall off-axis, an LCD option will not be a good long-term option. With an LCD video wall, you may experience poor wide-viewing angles at low color temperatures. Also, if you are filming the content on the wall close-up, moiré will become a major issue. Product lifespan is another factor that broadcasters should take into consideration. When running on low brightness (which normally the case for broadcasters), LED video walls can last five to to ten years while still maintaining excellent image uniformity. When looking at the upfront cost over the life of display, it will quickly make sense to invest in an LED wall over the cheaper LCD wall option. How important is pixel pitch and how is it changing? This is a great question. Pixel-pitch is the distance between two pixels in the display, and it is incredibly important. A display’s pixel-pitch determines the resolution of the video wall. In the last few years, a pixel-pitch of 3.9mm was considered to be industry leading. Now, it’s down to just 0.9mm! 3.9mm is not suitable for a broadcast application, but anything less than 2.5mm certainly works on camera. The dramatic drop in pixel-pitch has literally opened up a world of opportunity for broadcasters and set-designers. We can now create HD and 4K+ resolution video walls with no seams and incredible contrast ratios. Any size of display at any aspect ratio can now be achieved. A few of the leading LED manufacturers have just released a 0.9mm LED display- this is really exciting because it means that we are now getting close to the native resolution of LCD displays. I’ve also seen a prototype of a 0.7mm- which was outstanding! What characteristics set different LED display manufacturers apart? Any unique technologies? APG Displays has spent years inspecting factories and understanding the marketplace to add value in this process. We know that not all LED video walls are created equal. Firstly, the LED video wall market is getting crowded. Since technology has improved, it has become easier for manufacturers to produce small pixel-pitch displays, leading to an influx of new players. What’s more, many of these companies are re-branding / OEM products, so it is hard to determine who the ‘real manufacturer’ is of the display. In a market of this nature, you cannot simply trust an established brand name as the true manufacturer. It could result in you- the broadcaster- over-paying for your video wall. A major distinguishing factor is the type of LED used in the panel. This is especially important for broadcasters who require excellent black levels in their displays. Unfortunately, you can’t just compare the price of a 1.9mm display to another 1.9mm display. You need to know what type of LED diode was used in the panel. There are also different video processing components used that can impact refresh rates of the display and image uniformity. Some manufacturers have introduced anti-moiré filters which essentially act as diffusion screens. From our experience, while they do help with moiré, they negatively impact the sharpness of the image- which is a major benefit of using LED technology. To truly eliminate moiré, we recommend a smaller pixel-pitch display. A major US broadcast customer of APG Displays is using a 1.2mm pixel-pitch display so that moiré is completely removed. This creates an almost unlimited number of filming options within the studio. There is also a technology that reduces power-consumption. This is achieved by using a special chip which controls the different color levels of the diode. If a broadcaster is concerned about power consumption- which they should be-they should ensure that their display employs this technology. Due to these differences (and many others), we always recommend an on-camera test of the panels to confirm their performance. What is a realistic budget for broadcasters to set for on-set technology? An LCD video wall installation for a typical studio can range in price from $50,000 to $300,000. LED video wall pricing is primarily dependent on the pixel-pitch of the display. Budgets should range from $400,000 to $3,000,000. Additional technology, such as video processing, must also be factored anywhere from $30,000 to $200,000. Often, we can reuse existing video processors on a new LED video wall. How can a broadcaster ensure long-term viability for a video wall? Broadcasters can ensure long-term viability by working with a professional integration partner that has experience integrating LED video walls in broadcast technologies. LED video walls are an emerging technology sector; they are not simply a ‘plug and play’ technology like LCD monitors. When professionally integrated by experts, LED video walls will have long-life. In my opinion, a pre-shipment factory inspection is a requirement to ensure viability. Broadcast video walls must perform to a very high-standard, so it is crucial to fully test the video wall before it leaves the factory. At APG Displays, we always inspect the panels in the factory so that if problems do arise, we can solve them before the video wall arrives at the broadcaster’s site. It is also important to provision for spare parts at the time of order. Particularly, with LED video walls, the panels we sell are dot-to-dot calibrated in the factory. This ensure image uniformity for the life of the display. Since this is a specific calibration for the display, all spare parts must be ordered at the same time. We typically recommend 10 to 15% spare parts. APG Displays will be exhibiting at the upcoming NAB Show, where they will showcase various video wall solutions.